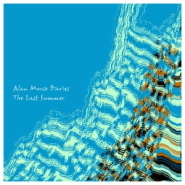 We know what Alan Morse Davies did to construct The Last Summer. The brief liner note on the project’s home page (at archive.org) states it plainly enough: “An album of manipulated recordings from 78RPM records recorded between 1905 and 1931.” He’s taken outmoded recordings of once popular music and transformed them, courtesy of the creative license inherent in the public domain, into his own deeply felt renditions. The shortest of the three tracks, a version of the Debussy favorite “Claire de Lune,” is extended to over 17 minutes, at which point it is almost pure choral gossamer (MP3); each of the other two, “The Last Rose of Summer” (MP3) and a rousing “Ave Maria” (MP3), clock in at over 23 minutes. It’s a testament to Davies’s approach that he doesn’t get hung up on the needle-in-the-groove clicks or dusty residue of the 78s. He doesn’t need to reproduce the rough surface texture of the original medium in order to telegraph to today’s listeners that this stuff is, plain and simple, old. His versions don’t merely extend the content of the originals until that material is ready to evaporate into thin air; they amplify both the richly melodious songs that were a dominant style of that period, and the archaic echoes inherent in that time’s sonic-reproduction technology. Get the full set at archive.org. More on Davies at his website, at-sea.com.